HRANA News Agency – On August 26th, 2014 a rare footage of protesting prisoners rioting against mass executions at the 2nd unit of Ghezel Hesar Prison published by HRANA news agency. The riot took place on August 17th, 2014 and finished with many causalities and injuries among protesting prisoners. According to the report of Human Rights Activists News Agency (HRANA), in the morning of August 17th, 2014 at least 14 death-row prisoners were transferred to the execution chamber at Ghezel Hesar Prison. This resulted in a riot by prisoners of unit 2 at this prison whom most of them are death-row prisoners. These prisoners confronted the prison security unit and demanded to suspend the executions. Live rounds and tear gas widely were used by Qezel Hesar security and back up units which resulted in lots of injuries and at least 10 causalities. 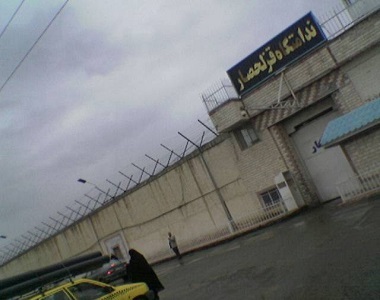 HRANA also reported about the peaceful protest of prisoners’ families outside the prison on the same day who demanded suspension of executions. However, these protests were suppressed by NAJA using Water Cannons and led to several arrests.